For those of you who have been following the case since the beginning, this is monumental news. Back in July a video surfaced of several young men torturing marine life. WTF Florida gathered evidence from our fans who collected pictures of other animal abuse incidents perpetrated by the same men. The angler community worked alongside the internet community as disgusted Floridians sent their evidence to the FWC. One photo featured Michael Wenzel holding a dead dog, captioned “shark bait.” Another showed him pouring beer down an endangered pelican’s throat. Because of their parents political ties and financial status, they were practically immune from the law. Browse through the tag “Shark Case” to see the narrative in reverse. So we started a petition to indict the men involved and got 1/4 million signatures. We first delivered our petition to the 12th Judicial Court on August 21 this year. They wouldn’t even meet us in person, but agreed to let us hand an employee the petition… outside. They wouldn’t even look me in the eyes. Lots of time passed and many believed that it was a lost cause. In November the 13th Judicial Court was given jurisdiction over the case. This was a good move, because Manatee County had already proven they could not be objective because of the family ties to the suspects. On December 12, 2017 it was reported that three men involved were charged by the FWC and the Hillsborough County State Attorney’s Office. Michael Wenzel, 21, of Palmetto, is charged with two felony counts of aggravated animal cruelty and one misdemeanor count of illegal method of take – shark. Robert Lee Benac, 28, of Bradenton, is charged with two felony counts of aggravated animal cruelty and one misdemeanor count of illegal method of take – shark. Spencer Heintz, 23, of Palmetto, is charged with two felony counts of aggravated animal cruelty. 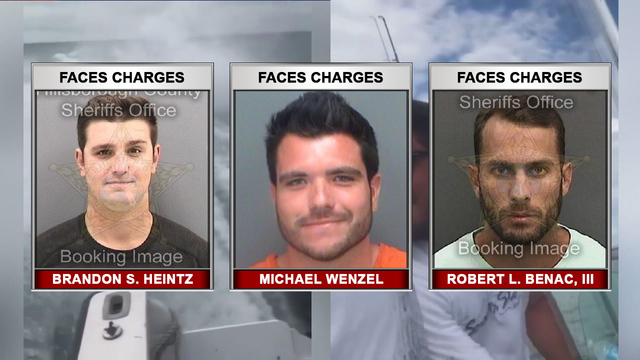 Michael Wenzel was booked into the Pinellas County jail at 12:30 p.m. and freed at 7 p.m. after posting $4,250 bail, according to tampabay.com. Brandon Heintz was booked around 2 p.m. and later released on a $4,000 bail. This is a big win for us… WTF Florida, Floridians, animal lovers, the angler community, and everyone who believes in justice for all. This case symbolizes how our generation refuses to allow some people to have immunity from the law simply because they have money and political connections. Hopefully this trend of truthfulness and accountability will continue. Still no charges have been announced for Alex Kompothecras, who was rumored to have been filming the shark dragging video and was seen on another shooting a shark in the gills. All three men will face trial in Hillsborough County. We will update you as soon as we know more. The FWC says the public can help by reporting suspected violations to the FWC. To make a report, call the Wildlife Alert Hotline at 888-404-FWCC (3922) or text Tip@MyFWC.com. 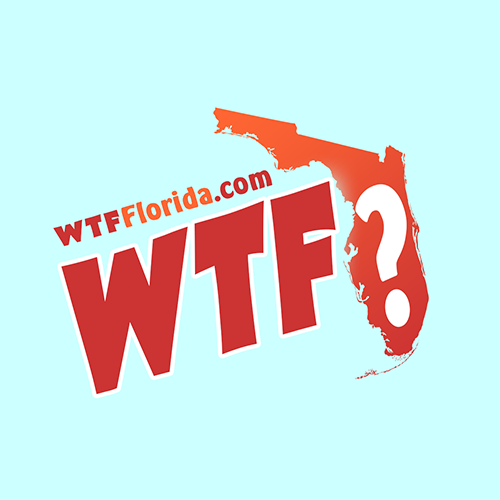 WTF Florida will remain here, working our internet magic and uniting Florida towards a better tomorrow. Honestly, we don’t really know what we’re doing, but that’s not important. What’s important is effort, faith, and team work. Thank you everyone for helping each other. It’s really cool to see all these different people coming together for a greater good. If you have an important issue you’d like to pursue, please contact us.